A light at the end of the tunnel for Seattle's transportation woes? Not if you drive a car. I live in West Seattle. I take the RapidRide C Line into downtown every day. The distance from my bus stop on Findlay Street SW to the Seattle magazine offices is 6.4 miles. Yesterday morning, it took me one hour to go 6.4 miles. My traffic gripes are valid. More people are moving here. Roads are routinely closed. (Remember last June's epic traffic weekend that was so awful some were calling it the worst traffic weekend in history?) And then, as if a gift sent from the bad-traffic-validation gods, a report comes out that states the obvious: Seattle's traffic is the worst. Literally. "Anyone who's been driving or taking the bus this fall has felt it. Now the figures the state just released in its annual congestion report are brutal. They show that when it comes to traffic jams, we've finally become that world-class city!" 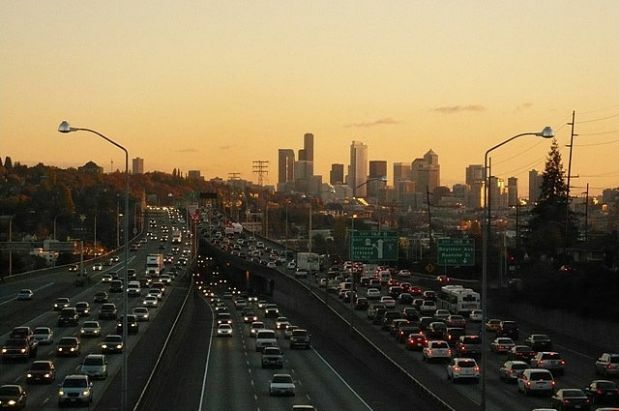 "Every workday on Interstate 5 through Seattle last year, drivers cumulatively were delayed more than 11,500 hours. That's 72 percent more hours of delay, every day, than I-5 had just five years ago." "On I-405 on the Eastside, the daily hours of delay are up a grinding 78 percent in five years." So what is Seattle doing about it? At the moment, not a whole lot. Just yesterday, the Times reported that existing bus-only lanes are being painted red to ward off drivers who either enter transit lanes unknowingly (yeah, right) or do it to bypass backups. There will also be more enforcement of those restricted lanes, including a $124 fine for drivers who are caught. OK, says this transit rider. But, clearly buses aren't doing much to help the traffic woes since we still share many of the same lanes, not to mention we can't even properly fund the bus service in the first place: 28 Metro bus routes were deleted and 13 were reduced this past September. These changes, along with the light rail expansion taking shape (the University Link extension set to open by 2016 and the Eastside Link targeted for 2023), make our transportation future seem a little brighter -- as long as you're not trying to get anywhere in Seattle or on the Eastside via car. 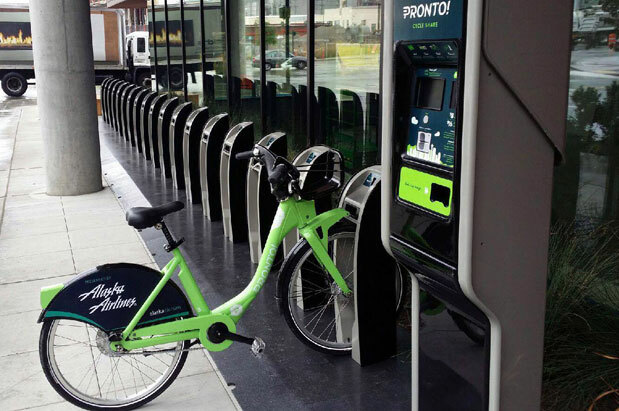 Westneat calls Seattle "Mayberry at heart" and that we've "got the traffic of a big-time city, but the spirit of a small town when it comes to doing anything about it." Seattle is working to potentially fix the traffic problems, it just isn't working fast enough. And it's ignoring drivers completely.